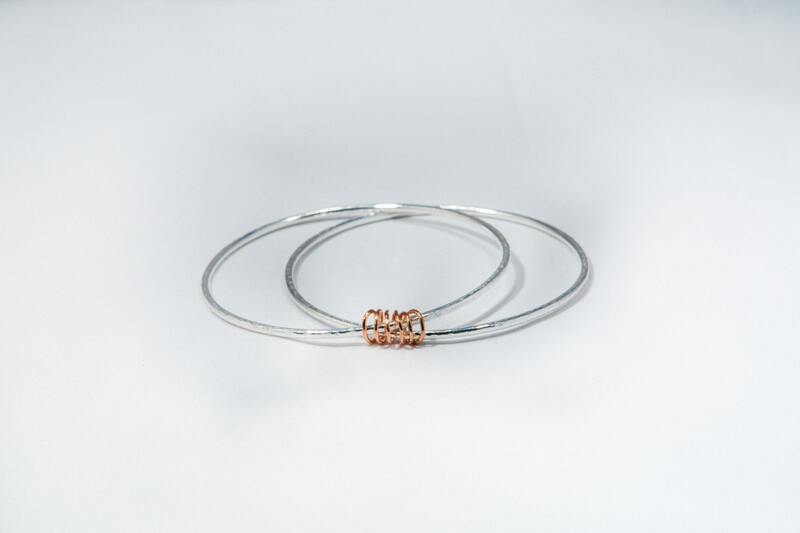 Pair of sterling silver bangles made using 2 mm round wire and held together by a handmade coil of copper wire. 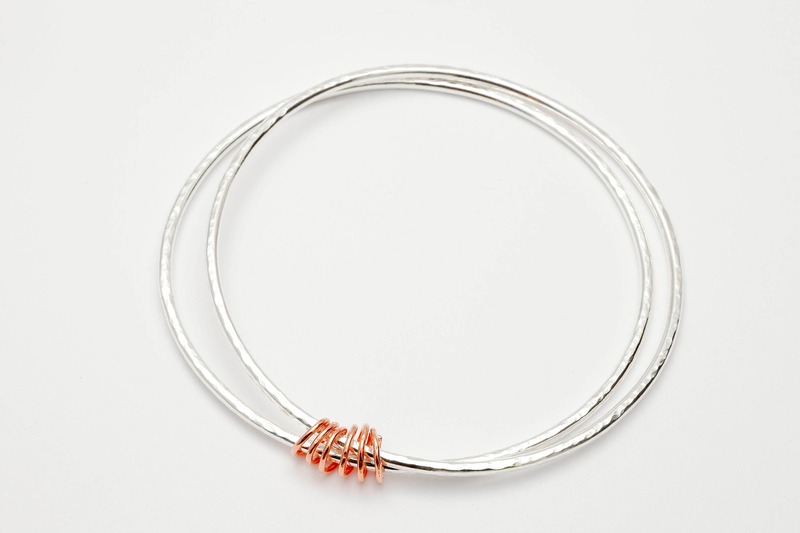 Both bangles are hand-forged and lightly hammered. 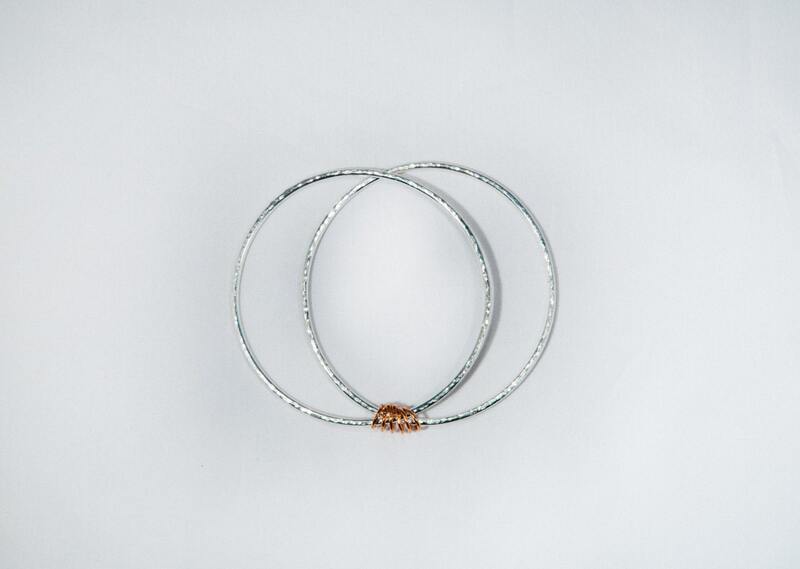 Inner bangle diameter (can be varied): 6.5 cm.